Ridgid's Trim router is a pretty good deal at around 100 bucks and the user reviews seem to back it up, but what if you could get an even better deal? Well of course this is a Hot Deal article, so a better deal does in fact exist. 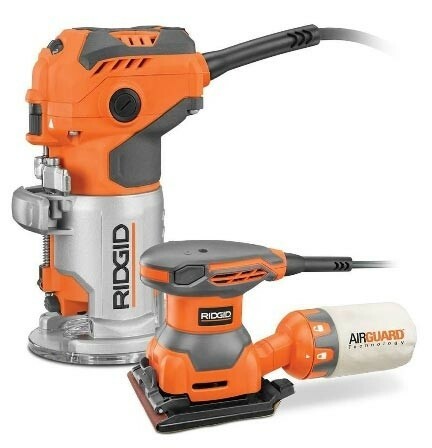 Home Depot is currently selling the Ridgid Trim Router for only $99, but it also includes a FREE bonus Ridgid 1/4-sheet sander; the sander alone sells for just under $50. The reviews on the sander do not seem to be as good as the reviews on the router, buy hey, you could always sell it and make some of your money back. This is an online only offer, but you should be happy to know that Free Shipping is also included.